Perez-Llorca chose Palo Alto Networks® Traps™ advanced endpoint protection to protect its endpoints from ransomware, botnets and other cyberthreats while centralizing endpoint security management. Delta Holding eliminated ransomware and gained a comprehensive shield against malware and zero-day attacks with Palo Alto Networks Next-Gen Security Platform. CBI Health chose the Palo Alto Networks Next-Generation Security Platform to protect its data center from ransomware and other threats. Nexum, Inc. is a cybersecurity and networking company located in Chicago, Ill. Nexum builds and secures global networks for organizations across multiple verticals around the world. In its various roles as a reseller, professional services consultant, support center, training center, and monitored and managed security services provider, Nexum makes use of the complete Palo Alto Networks security platform. 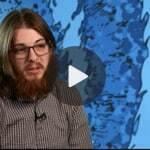 Dylan Border from Fisher-Titus Medical Center, a nonprofit community hospital located in North Central Ohio, discusses how the Palo Alto Networks Next-Generation Security Platform helps detect and prevent unknown cyberthreats. WildFire's proactive and automatic prevention of advanced and targeted attacks, helps give Fisher-Titus the insight and analytics to prevent future attacks. Hear Matthew McLimans, Sr. Network Security Engineer at Warren Rogers Associates discuss how the Palo Alto Networks Next-Generation Security Platform deployed in Amazon Web Services (AWS) segments network traffic coming from thousands of remote data collection devices, prevents malicious traffic from infiltrating fuel system diagnostics and reporting systems, white-lists applications and services, and segments cardholder data to ensure PCI compliance in the company’s cloud-based data center. In its 90-year history, Sielte SpA has evolved from a pioneering telephone and electrical systems company in Italy to an international cloud-based information and communication technology (ICT) service provider. Today, Sielte has annual revenue of over €400 million with cloud operations spanning Italy, Spain, Romania and Nigeria. With 500 customers operating in its cloud, encompassing approximately 10,000 devices and a wide range of applications, Sielte must be constantly vigilant against cyberthreats. In fact, most of Sielte’s customers also struggle to contend with an ever more complex threat landscape and have begun demanding managed security services as part of the Sielte cloud offering. Increasing pressure from customers, combined with a breach to its previous Cisco firewall, prompted the company to immediately seek a new network security solution. After evaluating the market, Sielte conducted a proof of concept (POC) to compare Juniper Networks with the Palo Alto Networks Next-Generation Security Platform, which consists of Next-Generation Firewalls, Threat Intelligence Cloud services, and Advanced Endpoint Protection. During the POC, the Palo Alto Networks platform detected an active cyberattack on Sielte’s network. This proved to be the deciding factor in the company’s final decision. Southern Cross Hospitals is New Zealand’s largest network of private surgical hospitals. To consistently deliver excellence in health services, Southern Cross Hospitals relies on a high performing, highly available information network to connect facilities across the country. By installing Palo Alto Networks Next-Generation Security Platform, Southern Cross Hospitals updated its security infrastructure to prevent sophisticated attacks, such as zero-day exploits, from compromising critical hospital systems. Brødrene Hartmann is a Danish corporation which produces moulded-fibre egg packaging. Hartmann is headquartered in Copenhagen, and has six factories, four in Europe, one in Israel and one in North America. Hartmann also develops and sells equipment and parts for the manufacturing of moulded-fibre packaging. In this video, Mogens Ole Jakobsen talks about the challenges a global company faces, the vendors Hartmann evaluated and how the decision to go with Palo Alto Networks was the best infrastructure decision he’s made in the last 8 years. Mogens also talks about how you will always be behind if you go for protection rather than prevention. Schauinsland-Reisen is one of the most important travel service companies in Germany and Europe. The Reiseveranstalter is the 7th largest package tour operator in Germany. The medium-sized, independent Reiseveranstalter based in Duisburg currently offers more than 60 travel destinations, with more destinations being added. This nearly 100-year-old company with a team of 300+ provides excellent availability and customer service to its customers. This Customer Story is also available in German. Founded in 1886, Ascham School is a non-selective day and boarding school for girls located in Sydney, Australia. The framework for teaching and learning at Ascham is the Dalton Plan, which encourages students to take responsibility for and ownership of their own learning, supported closely by their teachers. Students in years 5–12 are involved in the Personal Device Program which allows them to bring a device of their choice to support their learning. The program offers students flexible access to technology-rich content to facilitate and support academic achievement and encourages students to personalize their use of technology. UNIVEG Trade Italy exports fresh fruits and vegetables to Northern Europe for the UNIVEG Group, a worldwide distributor of fresh produce, specializing in fruits and vegetables, flowers and plants, and convenience products. Founded in 1969 and based near Verona, UNIVEG Trade Italy also imports overseas products and handles their sales throughout the Mediterranean, leveraging UNIVEG’s global transportation and logistics network for import and export activities. In this video, Tony Li, IT Security Director at Lenovo talks about the biggest security challenges the company faces, what types of threats come into their network and why they chose Palo Alto Networks. 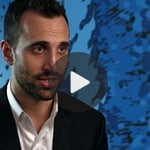 In this video Raphael Bytebier, Network Architect at Samsonite talks about how the company turned to Palo Alto Networks to meet the internal challenges of BYOD with the revolutionary Palo Alto Networks App-ID, Content-ID, and User-ID. Ashutosh Kapse, IOOF Holdings talks about why IOOF chose the Palo Alto Networks platform to meet its cybersecurity challenges. In this video, Russell Wu, CEO of Sinogrid Information Technology talk about the challenges Chinese businesses face in today's technology environment and how Palo Alto Networks helps them meet those challenges. Entsorgung Recycling Zurich (ERZ) recycles waste for the city of Zurich, Switzerland. Every day, ERZ collects over 30,000 bags of waste, cleans the streets, sidewalks and parks, and cleans the waste water of the City of Zurich. With approximately 900 employees, ERZ Disposal and Recycling is the largest service department in the Civil Engineering and Waste Department of Zurich. German. SanDisk Corporation designs, develops and manufactures flash memory storage devices and software and is the third-largest manufacturer of flash memory in the world. In this video Scott Johanson discusses techniques that hackers use today and the benefit of using Palo Alto Networks. Bugaboo International is a Dutch mobility company founded in 1999. The company’s headquarters is in Amsterdam with offices around the globe. Bugaboo manufactures baby strollers and accessories. 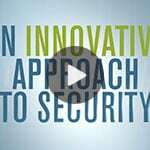 In this video Bert Groot-Hulze talks about how Palo Alto Networks helps the company protect its intellectual property and secure mobile employees.